Sandra's Nails (not active anymore): Awards! 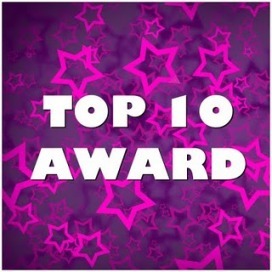 I would like to thank the lovely and awesome Esther from Estherni1 for passing on the Top 10 Award and the One Lovely Blog Award. I truly appreciate it! 1. I love classical rock - The Queen, The Rolling Stones, Aerosmith, The Beatles, etc. 2. My favorites are Renaissance art and Pop art. 3. I'm good at knitting and crocheting. 4. I absolutely love Grease. 5. Someday I wanna travel the world. 6. I love spending time on bookstores. 7. I really love blogging. I have problem skin and I've tried so many face washes with salicylic acid bot nothing has worked. My skin didn't get better or worse. But this L'Oreal Pure Zone face wash is the only one that has actually improved my skin. Again, I've always had problems with dark under-eye circles and this roll-on has really made them less-noticeable. The circles aren't gone, but they're much much lighter than before I started using this. A must-have. Helps with so many problems. It's a powder foundation and I actually like it more than a liquid foundation. And again, huge thanks to Esther! :) Pin It Now! Congrats and thank you! I will get around to this soon, I don't like doing award posts so close together so I'll wait a few days, but I will definitely do it! Congratulations and thanks so much for passing on the award to me. I really appreciate it! It's so nice to know that you love to knit because so do I. Again, congrats and Thank you! Have a wonderful day. Thanks so much, babe! I love your blog and am such a nail polish freak- i collect them like candy... 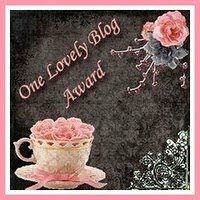 I literally have a whole table with nothing but nail polish on it- so I naturally ADORE your blog and love popping over here to see your posts- thanks so much for the award and shout out--!! Ahh thank you SO much!! We're honored!! Classic rock is my favorite, too! And tea tree oil is the greatest! It works so well on blemishes! sorry that it took me so long to get to this, but thank you! !